In 1900, enchanted observers marveled at how light played with color, as it reflected off leaves or the wings of a dragonfly. However, unlike moths, dragonflies don’t navigate by the light of the moon. Instead, they use sunlight’s energy on their wings to fly. Dragonflies swarm with predatory precision, catching mosquitos with their feet. Indeed, one dragonfly can eat from 30 to hundreds of mosquitoes per day. If they can’t fly, they’ll starve. 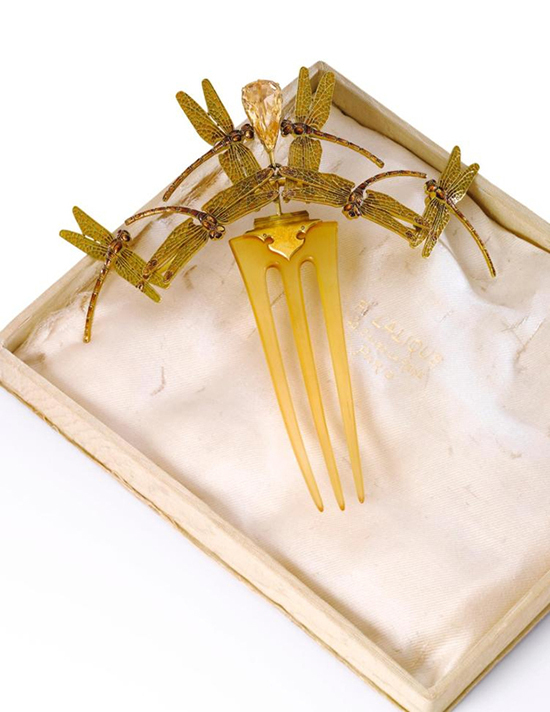 Lalique knew this and would not transform voracious killer-gangs into angelic creatures. He created swarms. 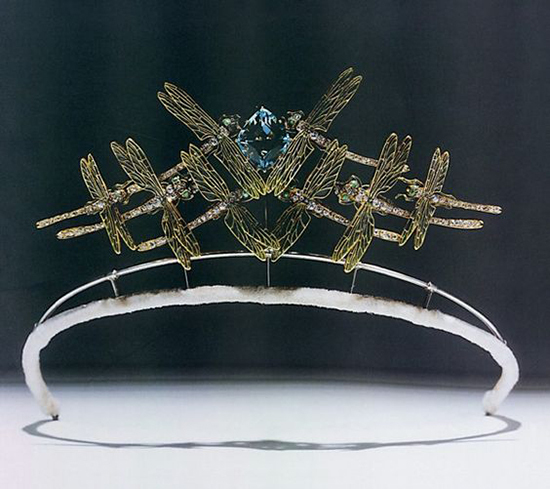 In this famous tiara, c. 1900, it looks as if the dragonflies are pursuing light, a faceted aquamarine, because they are all going in the same direction. This is not the case. 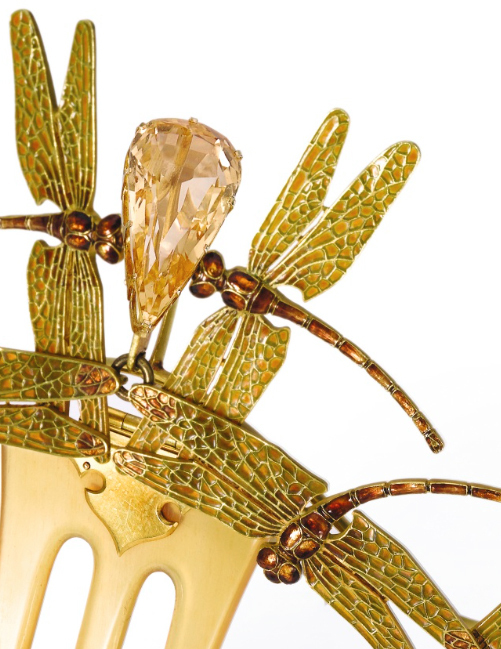 Lalique was trying to show how beams of “sunlight” from the aquamarine shined down on the dragonflies’ wings to give them energy. 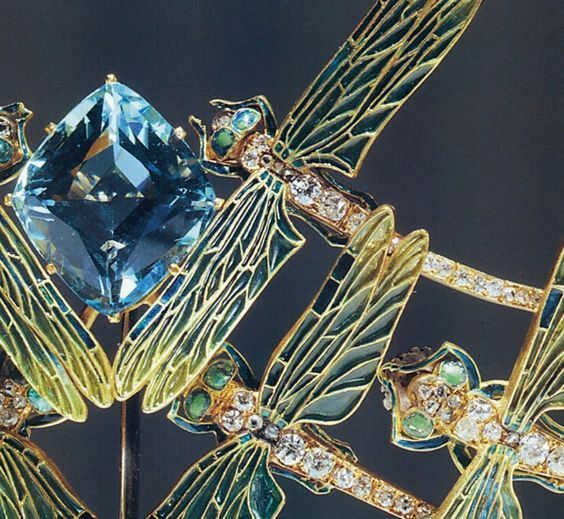 Look at how the wings change color, and draw diagonal lines from the aquamarine to the plique-a-jour enamel. 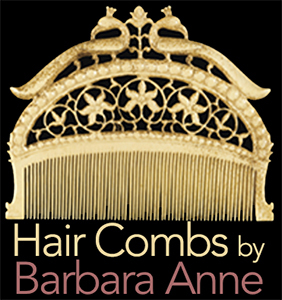 Just as the tiara had fittings that allowed it to be worn as a brooch, so this hair comb had a chain fitting so it could be worn as a necklace. Also made c. 1900, it sold at Sotheby’s on 18 May 2018 for $262,269. In this comb, six dragonflies in a swarm go in three different directions instead of just one. The light source: a citrine. Again, look at how the light source changes the color of the wings. French Art Nouveau was a combination of the Japanese aesthetic, where perspective was executed precisely, and French Symbolism, which elongated things to express a poetic idea. 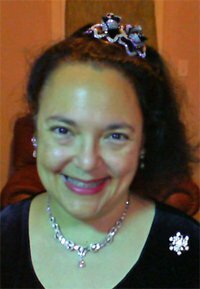 However, in both this tiara and hair comb, the insects are not stretched to make you think differently about them. So where is the French Symbolism? The elongation lies in the beams of light emanating from the jewel. 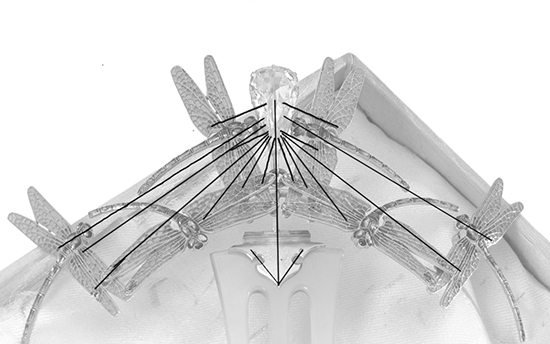 By seeing what is visible, Lalique is making you see what is invisible. These pieces portray the energy field of light, which gives flight to a dragonfly. To understand them, you must look at them with two different sets of eyes.